This dataset contains NLM’s database of citations and abstracts in the fields of medicine, nursing, dentistry, veterinary medicine, health care systems, and preclinical sciences. The subject scope of MEDLINE is biomedicine and health, broadly defined to encompass those areas of the life sciences, behavioral sciences, chemical sciences, and bioengineering needed by health professionals and others engaged in basic research and clinical care, public health, health policy development, or related educational activities. MEDLINE also covers life sciences vital to biomedical practitioners, researchers, and educators, including aspects of biology, environmental science, marine biology, plant and animal science as well as biophysics and chemistry. Publishers submit journals to an NIH-chartered advisory committee, the Literature Selection Technical Review Committee (LSTRC), which reviews and recommends journals for MEDLINE. The LSTRC considers the quality of the scientific content of a journal, including originality and the importance of the content for the MEDLINE global audience, using the guidelines found on the NLM Fact Sheet MEDLINE Journal Selection. – In-process citations that provide a record for an article before it is indexed with MeSH® and added to MEDLINE or converted to out-of-scope status. – Citations that precede the date that a journal was selected for MEDLINE indexing. – Some OLDMEDLINE citations that have not yet been updated with current vocabulary and converted to MEDLINE status. – Citations to articles that are out-of-scope (e.g., covering plate tectonics or astrophysics) from certain MEDLINE journals, primarily general science and general chemistry journals, for which the life sciences articles are indexed with MeSH for MEDLINE. – Citations to some additional life science journals that submit full-text articles to PMC® (PubMed Central®) and receive a qualitative review by NLM. – Citations for the majority of books and book chapters available on the NCBI Bookshelf. Records submitted to NLM electronically by publishers are added to PubMed at NLM and given in In-Data-Review status. Records in this status have undergone review at the journal issue level; i.e., the journal title, date of publication and volume/issue elements (referred to as the source data) are checked. They are not yet MEDLINE records because they have not undergone complete quality review and MeSH indexing; thus they should not be identified as MEDLINE records. Records in this status have undergone a citation level review; i.e., the author names, article title, and pagination are checked. All In-Data-Review records that entered the workflow via publisher electronic submission are redistributed again in In-Process status whether or not they were revised as a result of the second citation level review, and are not identified in any way as having been revised or not having been revised. Records created via NLM current other data entry mechanism, scanning/optical character recognition (OCR), are distributed for the first time in In-Process status after their creation. They are not yet MEDLINE records because they have not undergone complete quality review and MeSH indexing; thus they should not be identified as MEDLINE records. Most in-process records are eventually indexed with MeSH Headings and are elevated to completed MEDLINE status. However, some are determined to be out of scope (e.g., articles on plate tectonics or astrophysics from certain MEDLINE journals, primarily general science and chemistry journals, for which the life sciences articles are indexed for MEDLINE) and are not elevated to MEDLINE status; instead they become PubMed-not-Medline final status records. In rare cases the records are deleted and do not become PubMed-not-MEDLINE records. In-process records undergo rigorous quality assurance routines before they are elevated to MEDLINE status or to PubMed-not-MEDLINE status. Records in MEDLINE status are the only ‘true’ MEDLINE records . A small percentage of the records in the OLDMEDLINE subset are in MedlineCitation Status = OLDMEDLINE. The criterion for records to be in OLDMEDLINE status is that all the original MeSH Headings have not yet been mapped to current MeSH. NLM exports both new and revised OLDMEDLINE records on an irregular and infrequent basis. 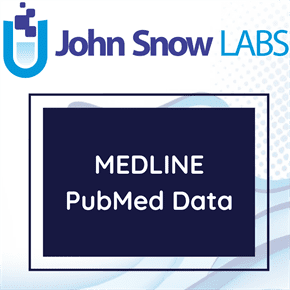 Records in this status are from journals included in MEDLINE and have undergone quality review but are not assigned MeSH headings because the cited item is not in scope for MEDLINE either by topic or by date of publication, or from non-MEDLINE journals and have undergone quality review. Records in Publisher status are not distributed via bulk download. At this time approximately 98% of PubMed’s content is distributed via bulk download. At any given time, there are between 400,000 to 500,000 additional records in Publisher MedlineCitation Status in PubMed. These are citations to author manuscripts of articles published by NIH-funded researchers and citations to books in the NCBI Bookshelf etc. The values and their definitions for Citation Subset are as follows. Note that several are closed subsets no longer being assigned. AIM = citations from Abridged Index Medicus journals, a list of about 120 core clinical, English language journals. B = citations from non-Index Medicus journals in the field of biotechnology (not currently used). C = citations from non-Index Medicus journals in the field of communication disorders (not currently used). D = citations from dental journals. E = citations in the field of bioethics (includes records from the former BIOETHICS database). F = older citations from one journal prior to its selection for Index Medicus; used to augment the database for NLM International MEDLARS Centers (not currently used). H = citations from non-Index Medicus journals in the field of health administration (includes records from the former HealthSTAR database). IM = citations from Index Medicus journals. J = citations in the field of population information (not currently used; on records from the former POPLINE® database). K = citations from non-Index Medicus journals relating to consumer health. N = citations from nursing journals. OM = pre-1966 citations from the older print indices of the Cumulated Index Medicus (CIM) and the Current List of Medical Literature (CLML). Q = citations in the field of the history of medicine (includes records from the former HISTLINE® database). R = citations from non-Index Medicus journals in the field of population and reproduction (not currently used). S = citations in the field of space life sciences (includes records from the former SPACELINE™ database). T = citations from non-Index Medicus journals in the field of health technology assessment (includes records from the former HealthSTAR database). X = citations in the field of AIDS/HIV (includes records from the former AIDSLINE® database).